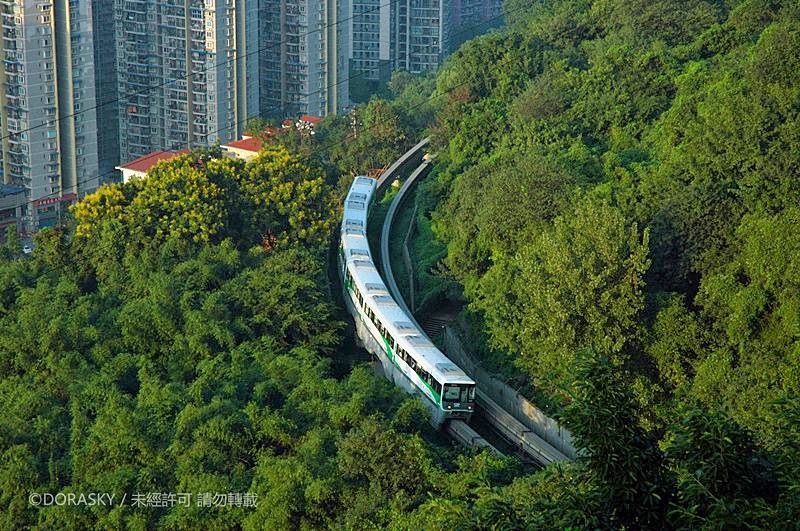 The Chongqing Rail Transit (CRT) also known as Chongqing Metro, is a 75 km rapid-transit system, serving the city of Chongqing in China. 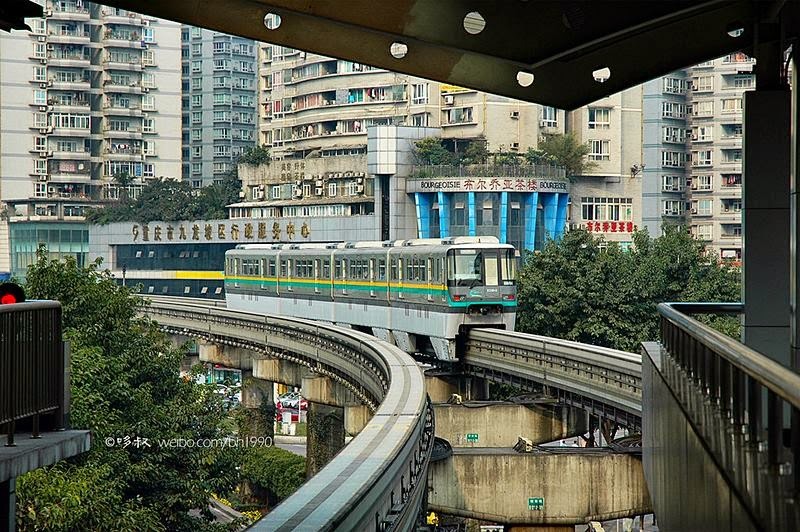 It has been in operation since 2005 and serves the needs of nearly 32 million people. 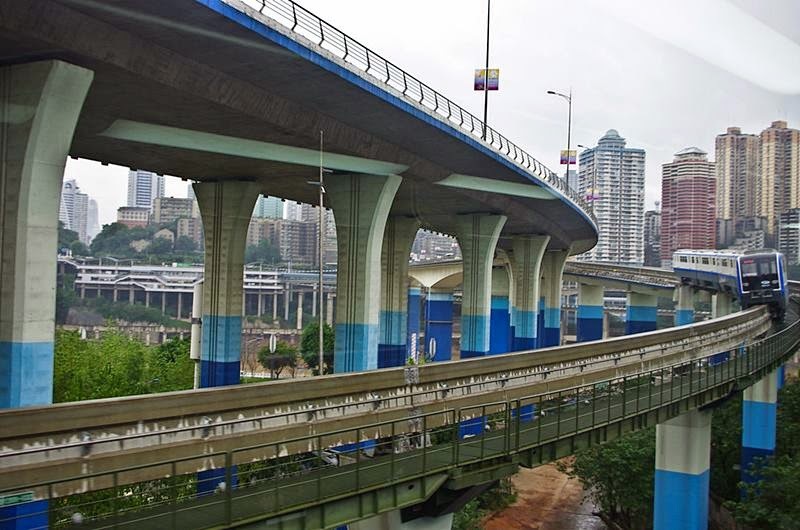 CRT serves transportation needs in the city's main business and entertainment downtown areas. 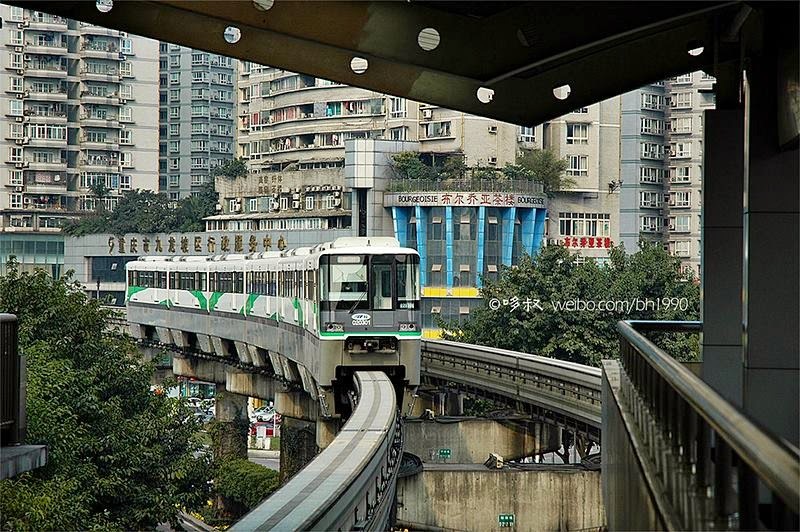 It is one of only three urban-rail metro systems in operation in the west of China, the others being Chengdu Metro, and Xi'an Metro which opened in 2010 and 2011, respectively. 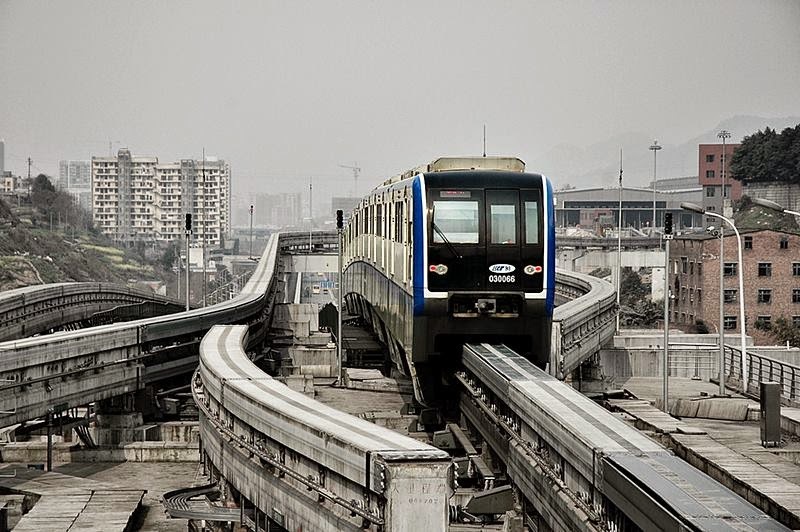 Daily ridership of the metro is around 400,000 passengers. 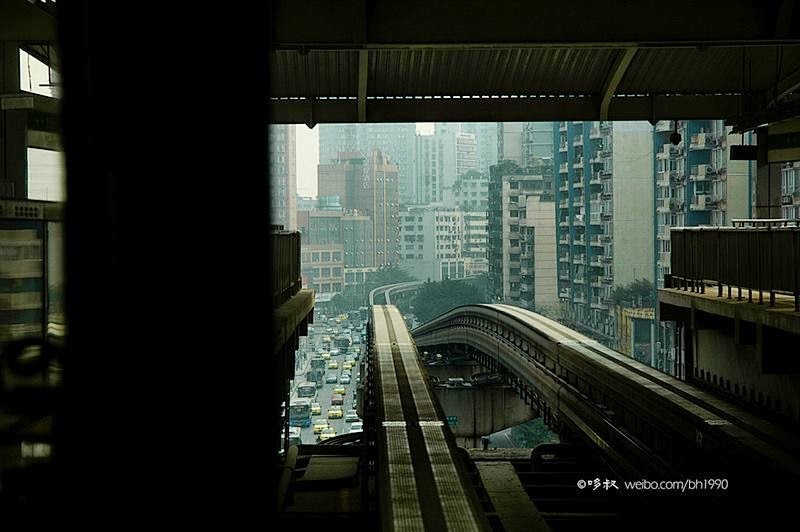 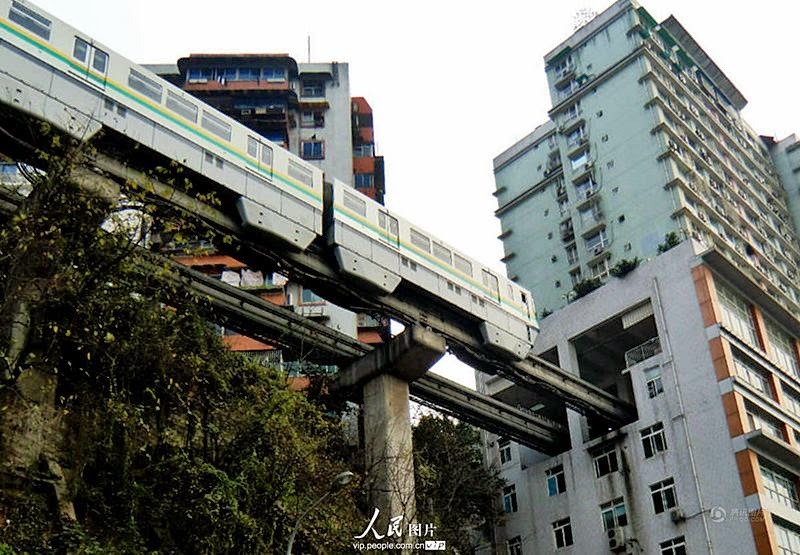 Chongqing, the Line 2 monorail passes through a building. 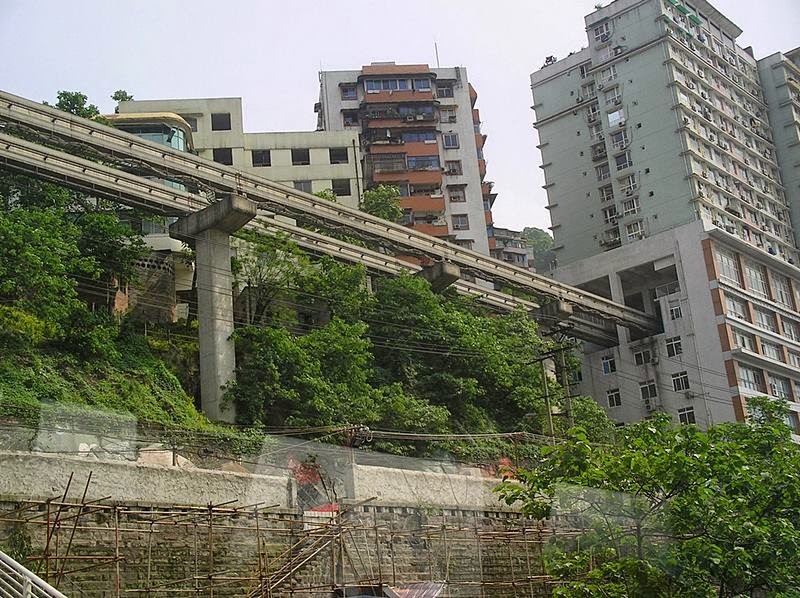 Many netizens complain about/make fun of Chongqing’s complex topography, its godly monorail, its godly terrain, making it a one of a kind sight in the country. 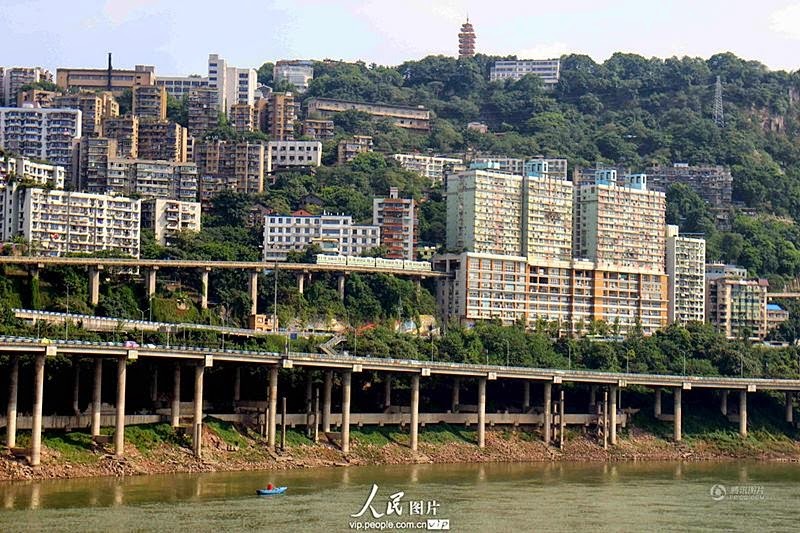 Chongqing is located to the southeast of the Sichuan basin, with the Daba, Wushan, Wuling, and Dalou Mountains to its north, east and south. 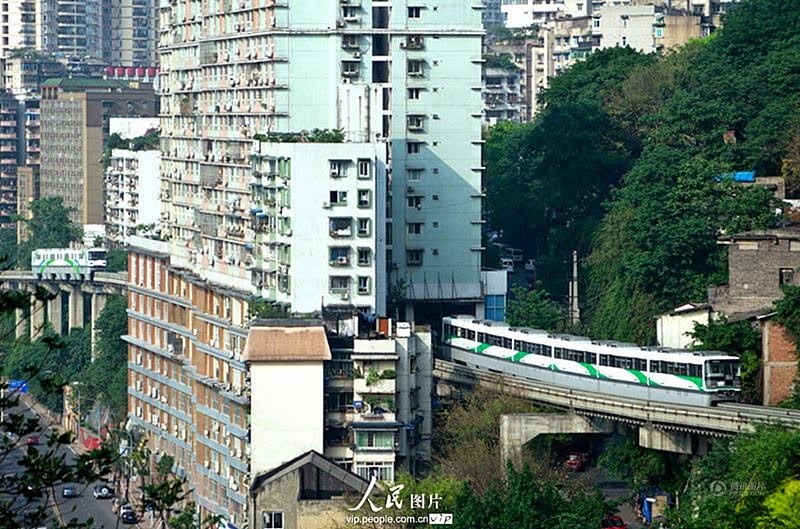 Most of the terrain is composed of hills and mountains, with lots of its area being slopes, resulting in the city being known as a “mountain city”. 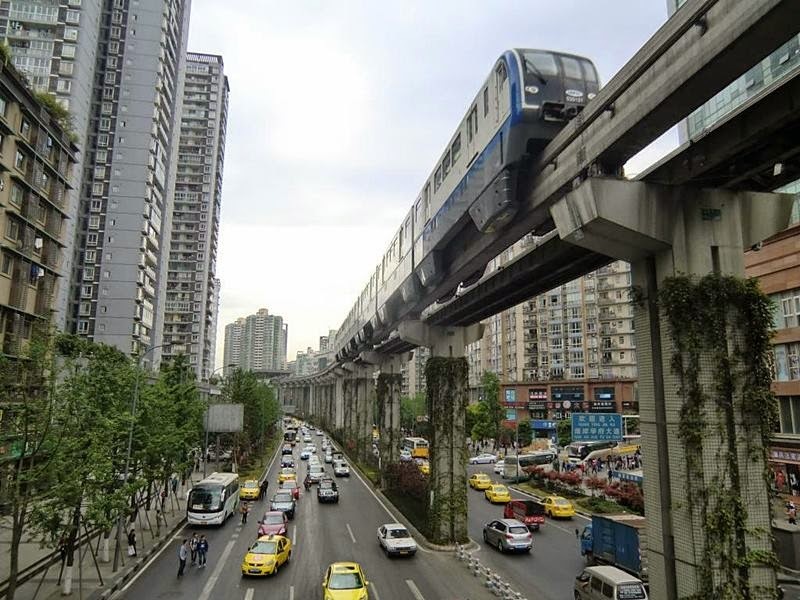 As a result, the light rail must pass through the building.